From the menswear experts at Parsley, we bring you this prep-school inspired necktie for occasions that include a look of academic excellence. 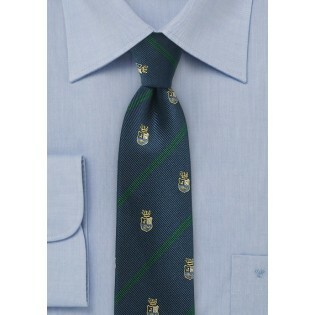 This intelligent design features green regimental stripes and embroidered crest embellishments on a repp-textured fabric. 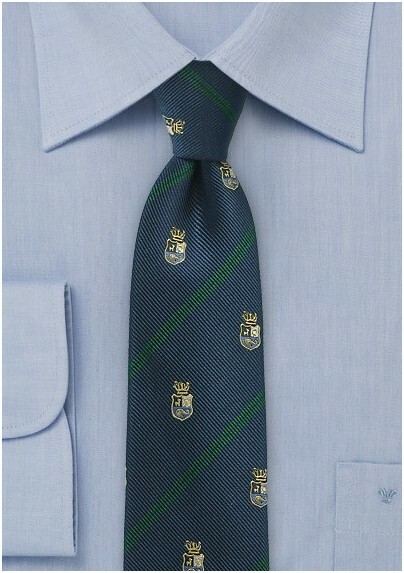 Put together a smart look by pairing this piece with a navy suit and solid colored pocket square in green. Handwoven from 100% silk.